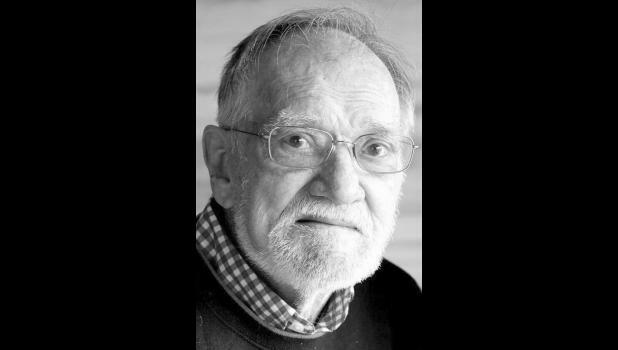 Leo Edward Bickford, 86, of Holton, passed away peacefully with family by his side on Saturday, Nov. 24, 2018. He was born the son of Roy and Nellie (Cappen) Bickford on Oct. 24, 1932 in Waverly, Kansas. Leo was born the ninth of 13 children. At the age of 17, Leo enlisted in the Marines and served four years (1950-1954) during the Korean War. He is survived by his wife of 64 years, Carol Ruth Marshall, of Holton, who he married on Oct. 8, 1954. Together they raised three children, Richard “Rick” Bickford, Teresa “Terri” (Bickford) Blake and C. Jeanette (Bickford) Christian. In his early years, he was the owner and operator of Bickford Floor Covering and retired from the company after more than 10 years. Leo had many interests. He loved spending time with family, especially his grandchildren. He had a never-ending love of the outdoors, camping, Christmas lights and Johnny Cash. He was a member of the former First Presbyterian Church, Kansas Freemasons — Holton Lodge 42 and a lifetime member of Eagle’s Lodge, Holton VFW Post 1367 and American Legion Post 44. Leo is survived by his loving wife, Carol Marshall Bickford; his children, Richard “Rick” (Paula) Bickford of Carlsbad, Calif., Teresa “Terri” (Mike) Blake of Topeka and C. Jeanette Christian of Topeka; a brother, Kenneth “Kenny” (Louise) Bickford of Holton; sisters-in-law, Pauline Bickford of Rossville and Carolyn Bickford of Pahrump, Nev.; his cherished grandchildren, Jordan (Connie) Christian, Jason (Yi Ling) Christian, Justin (Kathryn) Christian, Jerrad Blake, Derrek (Whitney) Blake, Brett (Brooke) Bickford, Bailie (Trent) Berner, Rachel (Joe) George, Tessa (Matt) Weitzman, Mia Boam and Dashiell “Dash” Boam; 12 great-grandchildren; and many nieces and nephews. He was preceded in death by his son-in-law, Michael Christian; his brothers, Clifford Bickford, Darrell Bickford, Leland Bickford, LeRoy Bickford and Wendell Bickford; and his sisters, Opal Davis, Barbara Hughes, Betty Mayo, Arlene Nott, Doris Reding and Sue Stewart. A private 21-gun military salute will be held with a Celebration of Life to follow at Mercer Funeral Home in Holton from 2 p.m. to 4 p.m. Saturday, Dec. 8. Please write down your favorite memory of Leo to add to the memory box.